What do you think is the most common physical association connected with the practice of yoga? That yoga equals flexibility. But did you know that yoga also equals strength? In fact, flexibility and strength go hand in hand. For instance, having a stronger core means that you can access deeper forward folds. More upper body strength makes poses like Chaturanga or Handstand way more accessible. Yoga strength training is a thing! There are so many yoga poses that can also double as strength training exercises. So how do you make yoga poses work for strength training? Simply hold each pose for longer than you would in a typical yoga class. 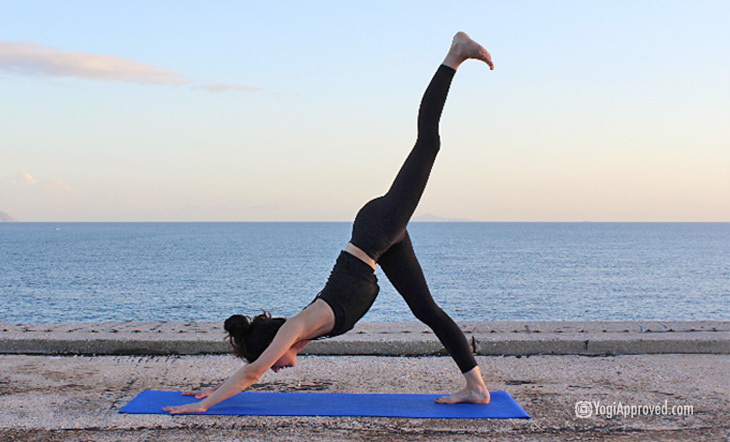 Use these eight yoga poses as your strength training exercises and enjoy all the benefits that yoga strength training can bring. The key to using these poses for strength training is in holding them for 10 solid breaths. Try it and see for yourself how much this increases the challenge! This pose just sounds fierce, doesn’t it? Like, practice this and then take over the world! No wonder it’s a great asana to fully strengthen your legs, glutes, and arms. This is another awesome pose yoga strength training pose for the entire length of your legs. Depending on how long this pose is held, this asana can work up a serious burn in your thighs, which just proves that it has to be working, right?! 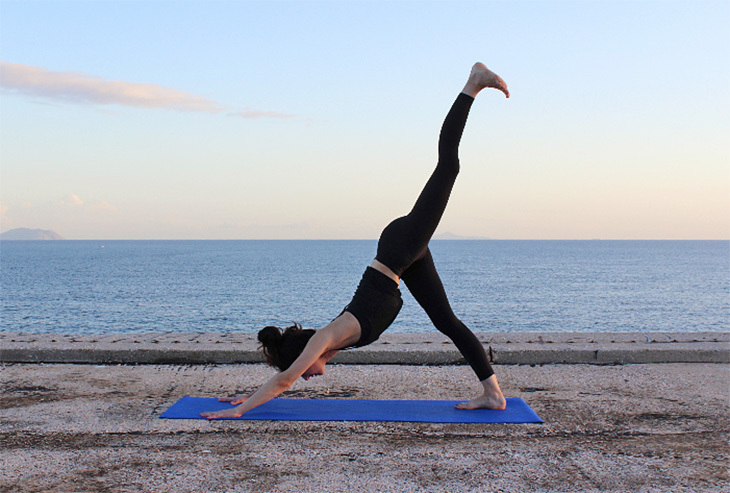 This backbend is a great one for strength training the front of the thighs, as well as the abdominals since they have to be fully engaged as you reach up and back. 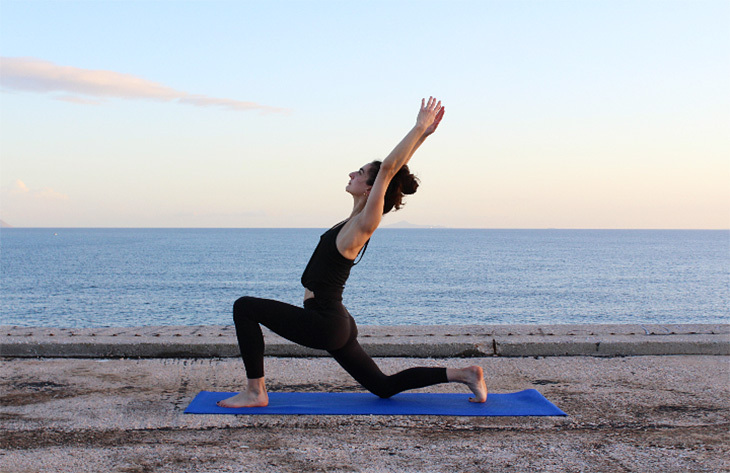 Since it is a backbend, we recommend that you wait to go into this pose until after you’ve done some back warm-ups. 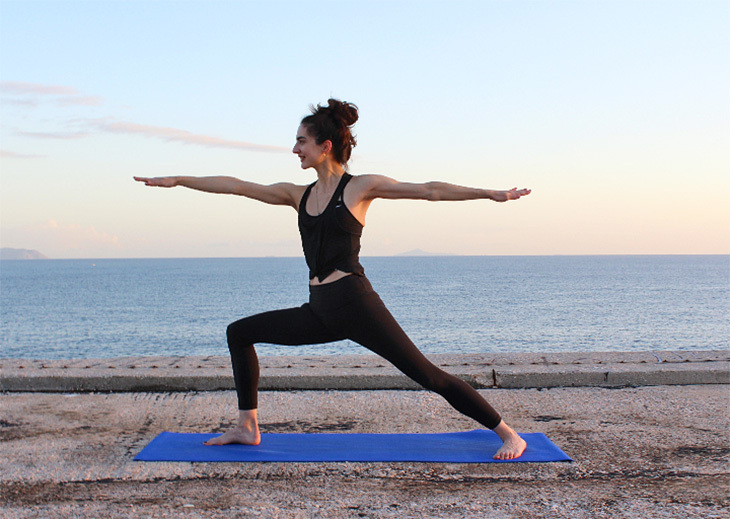 This “simple” looking pose is actually quite complex as it works and strengthens muscles all through your body, engaging them through a balancing act, and includes abdominals, legs, shoulders and the entire length of your balancing arm. Talk about yoga strength training! This is a great pose for those of us who sit at a desk for hours on end, because it really works the muscles in our hips as well as our abdominals. The balance it requires also engages your back muscles, so think of this as your go-to, middle-of-the-body yoga strength training asana. Locust Pose is a great yoga strength training asana to practice before attempting deeper backbends such as Wheel as it really works all the back muscles – from your shoulders and neck, down to your waist – as well as the back of your legs and arms. Arms and legs, people! That’s what this simple-looking pose targets and strengthens, from shoulders down to wrists and from glutes down to ankles. Three-Legged Dog is, obviously, a variation of the classic Down Dog. But by lifting one leg, it makes the standing (or balancing) leg work extra hard. You’ll definitely feel a burn in the upper, inner thigh of your standing leg from this yoga strength training pose! Achieving this pose can’t help but make you feel a wave of strength literally pulse through your body. As it’s an arm balance, the primary muscles that it works are, of course, the arms. But as in all yoga strength training asanas, the entire body gets in on the action too! Hold for ten deep breaths . . . or for as long as you can to avoid a face-plant! If you are interested in deepening your yoga practice, then try focusing on these strength training poses. Because increasing your strength leads to a sure increase in your flexibility. And that means more advanced poses like Firefly or Handstand will become as simple as Mountain Pose . . . well, almost! This article has been read 636 times. Share it and spread the love!